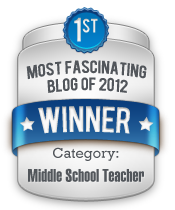 An article you wrote in 2011 titled 2401: Additional Examples for Test 3 has earned your blog a nomination for a Fascination Award: 2012’s Most Fascinating Middle School Teacher blog. 2012 Fascination Awards Rules & Prizes. Accept your nomination by replying to this email by August 15 (11:59 PM EST). Voting begins August 18th at 1:01 AM (EST). The blog with the most votes by August 25th at 11:59 PM (EST) will win the grand prize, a $100 restaurant gift card. 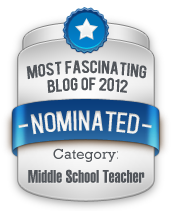 That’s right – I am a fantastic middle-school science teacher, as demonstrated by my previous blog post when I was a TA for multivariable calculus at Georgia Tech. And what was in that post? It’s a series of links to the Khan Academy, and my students asked me five questions in the comments. One might have hoped that the Georgia Tech or Multivariable Calculus tags (or the word “integral” in the post, or the explicitly done and written integrals in the comments which *Accelerated Degree Programs* seems to have read so closely) would have clued them off. Either Georgia Tech’s standards are really low these days, it takes an extraordinary amount of effort to become a ‘good middle school science teacher blog,’ or this is just another site that’s senselessly trying to improve their rating by spamming out things that link to their site. (I have removed all links to their site from the email so as to not actually boost their SEO attempt). I have again removed the linking aspects of these two photos, so that these are merely .pngs hanging out. Whoa – that’s… exciting… or something. It’s a little worse, as when I didn’t respond to ‘accept my nomination,’ I was emailed by Matthew Pelletier again! They are insistent, at least. And that’s the only good thing I have to say about them. This entry was posted in Humor, Story and tagged Dance your PhD, math, mathematics. Bookmark the permalink. Sure, I can do that for you. It won’t take me long, but I’ll have to wait until tonight. Feel free to ask me anything else you would like too. I lied – I wrote a comment back at the thread. In short, I used the fact that the sum of the first $latex n$ natural numbers is $latex n(n+1)/2$. If you haven’t seen this before, I would recommend proving it. If you search MSE, I’ve even uploaded a proof by picture (that’s well-known). And for future reference, my email can be found in the about page here. It’s david_lowry@brown.edu. I am terrible at the internet. I didn’t even think of looking in “about”. Your help much appreciated; I have taken it to eMail to stop polluting your blog comments.